Earn up to 32 Rewards Points when you order this item. ORDER 2 BOOKS TO SAVE 15% WITH OUR BULK DISCOUNT! The Book That Will Completely Change Your Life. The science world is confirming that which Hippocrates said some 2400 years ago; ”all disease begins in the gut’. With the race to discover the microbiome alive & well, the fundamental principles of healing the gut have remained the same for thousands of years; reduce the inflammation & heal the gut lining. 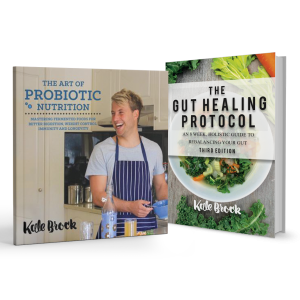 In this stunning book, health journalist Kale Brock investigates the fundamental role the gut microbiome plays in your health. 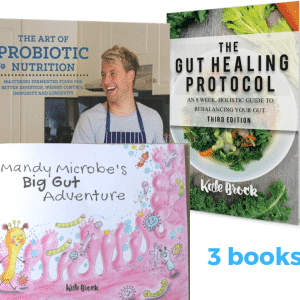 Stunning, delicious recipes which will actively help you heal your gut lining & rebalance your microbiome. The 3rd edition of the GHP features a new slick design with some additional scientific studies on the microbiome, allergies, a differentiation between a gut HEALING program and a gut NOURISHING program, info on nightshades, zucchini and more FAQs answered at the back! Should I buy the third edition if I already have the first or second? If you’re a super health nerd, you may glean some new info from the 3rd edition, however the main principles remain the same for the most part ? It’s one of the hottest topics in science right now. 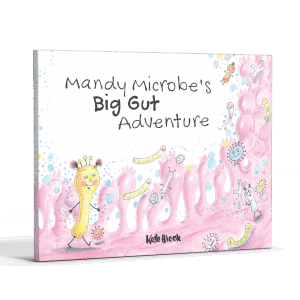 Scientists the world over are scrupulously investigating the role that our microbiome and subsequent functioning of the intestinal lining play in our health & wellbeing. Let me tell you, they’re discovering some amazing things, many of which I will share with you in this book. This book is the result of 9 years of research on my part, as a health journalist & coach, into how we as everyday people can better look after ourselves in order to experience life to the fullest. 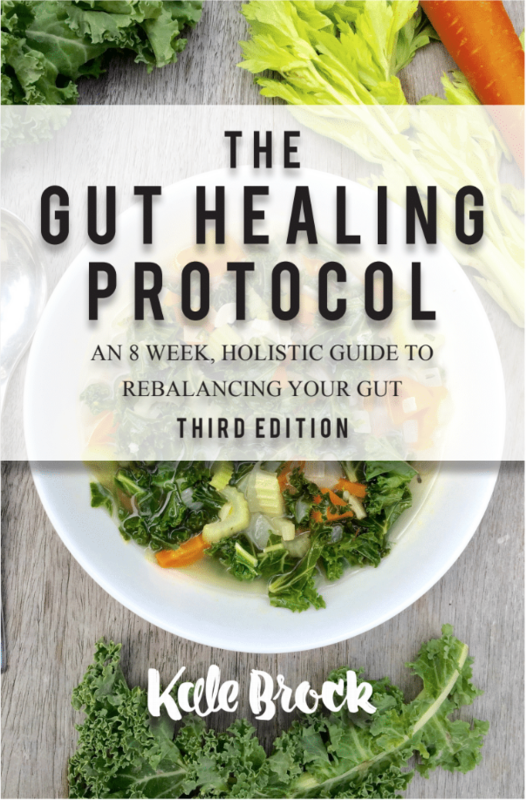 This book is not a scientific journal or investigative report but rather a simple action plan, with validating references, that you can take to improve your gut-health & furthermore to improve your overall health & vitality! 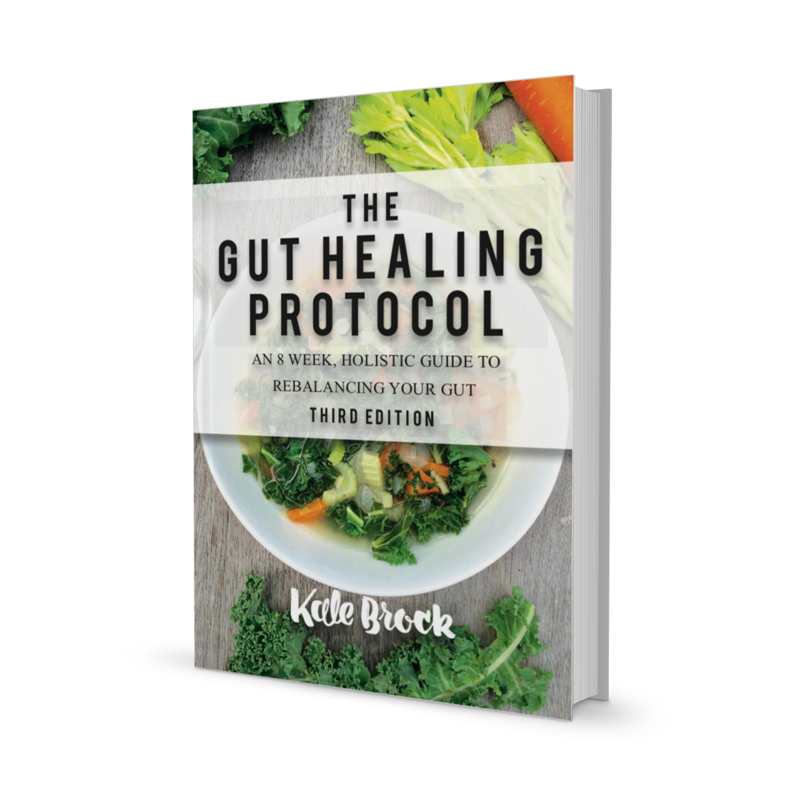 This book is called The Gut Healing Protocol because it primarily focuses on healing the lining of the gastro-intestinal tract. For the nerdy, it involves tightening up the junctions of the epithelium so that inflammatory mechanisms can be shut down throughout the body so that optimal cellular functioning can be achieved. 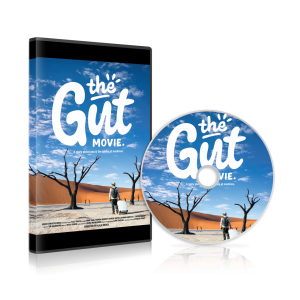 This program is like a chiropractic adjustment for the gut & similar to the wonderful benefits we receive from aligning the spine, re-aligning & rebalancing the gut results in a powerful impact on the entire body.